Here are some examples of how MPS has helped our clients with Strategic Design, Organizational Development, Portfolio Analysis, and Facilitation. What will your success story look like? Contact Sarah Nurse, Vice President of Client Services or Davin Hattaway, Account Manager for Association Consulting to learn how MPS can serve you. 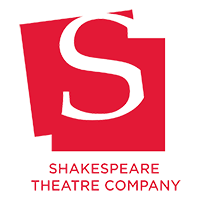 Since 1970, the Shakespeare Theatre Company (STC) has presented world-class stage productions in Washington, DC. The company’s mission is to ignite a dialogue that connects the universality of classic works to our shared human experience in the modern world. MPS Assists did very valuable assessment work for STC that was quickly and effectively put together and completed. The artistic director of STC, the renowned Michael Kahn, who has been with the company for years, will be retiring at the end of the 2018-2019 season. With the change in leadership, come many challenges for the company’s many stakeholders – the board, the audience, the patrons, and the staff. STC wanted to assess stakeholder attitudes about the upcoming change in leadership, and gather relevant input for a strategic plan going forward. In an effort to better understand their constituents and areas for improvement, the MPS Consultant Team worked closely with the Strategic Planning, and Marketing & Communications Departments at STC to identify the target audiences and develop custom surveys. Together they built out a survey on Survey Monkey that identified potential pain points related to strategic planning. The MPS Team, Marci Owens and Ira Casteel, developed and refined the survey with the STC team, and sent it to 5,000-7,000 stakeholders, who fell into two groups: buyers and donors. The MPS Team collected and analyzed the data through the survey platform to identify themes and trends. Finally our consultants developed recommendations based on the data to help identify strategic planning ideas for STC. There was a follow on project to help Shakespeare Theater Company present the recommendations for their upcoming strategic planning sessions to the STC board. 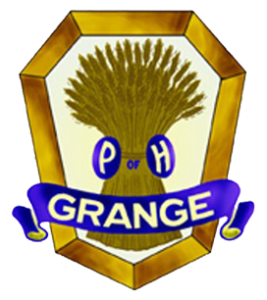 The first phase of this project lasted approximately ten weeks and led into Phase Two, which addressed the need for a larger stakeholder group (75,000+). The MPS Consultant Team remained in direct contact with our STC counterparts via conference calls and email exchanges, and encouraged them to reach out to the MPS Community Engagement Manager (CEM). The MPS consultants scheduled a final session with the STC team to finalize project closeout. The final analysis highlights the commonalities and differences between the two stakeholder groups, and provides valuable statistics and clarifies current attitudes that will be useful for shaping STC’s future direction. Using this information, MPS consultants were able to make solid recommendations, which the Shakespeare Theatre Company is currently pursuing. 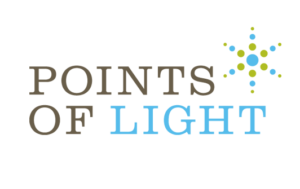 Points of Light (POL) is the world’s largest organization dedicated to volunteer service, mobilizing people to take action on the causes they care about through innovative programs, events and campaigns. MPS consultants conducted interviews with 12 key stakeholders from various departments at POL to determine what core elements of project management were needed by their leadership and staff. They looked at the concepts, processes, tools and roles of project management as well as the Asana tool that POL selected as the management tool. A list of project management processes and knowledge areas were discussed, and POL verified which areas would be most beneficial for MPS to develop into a Project Management Framework for POL. This framework can be used by POL as a basis for each project, allowing them to standardize processes and documentation across all projects. POL identified four projects to serve as a pilot cohort, launching at the end of January 2019. 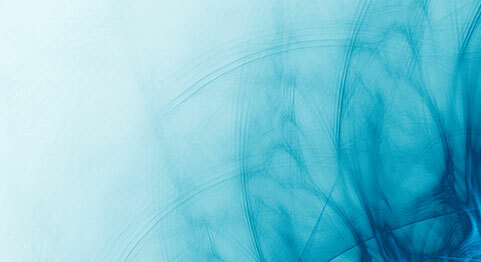 The cohort will formally use the new tools (Asana and the templates) end-to-end. Additionally, POL implemented the change measure recommendation (a survey of users) to establish a baseline of project management effectiveness to compare against at a later date. Friendship Place finds permanent solutions for families and individuals on the brink of, or currently experiencing, homelessness in the DC region. Through its programs and services, such as housing services, Veterans outreach, job placement, and free clinic offerings, Friendship Place empowers those in difficult circumstances to rebuild their lives and reconnect with their community. 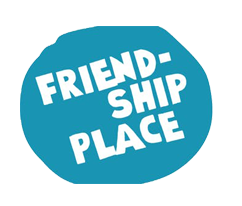 To meet fiscal needs for 2019, Friendship Place was looking for ways to develop new avenues of funding and new partnerships to supplement existing relationships with local donor organizations. MPS consultants kicked off the project with a basic environmental scan to better define the audience and types of organizations that Friendship Place was already targeting, as well as those they should target, but had not yet identified. This phase focused on reaching out to current corporate donors and inquiring about how the Client communicates with them, how much they give, when they give, and other relevant information. The scan also provided context for how Friendship Place developed its current framework for corporate fundraising. After the initial discovery phase, the MPS team performed market research to identify specific organizations that Friendship Place can target to build relationships and acquire more corporate donations. This market research also included best practices for corporate fundraising in the nonprofit space, with a focus on maintaining engagement and corporate donations from current organizations. MPS consultants provided recommendations to expand corporate fundraising at Friendship Place. This included methods and timing of outreach. Communicating as soon as potential organizations are identified, and initiating real dialogue with donors, were recommended as vital to establishing inter-organizational goals. Our team offered insights to help Friendship Place gain a competitive edge in securing funds, and identified several businesses, located in the vicinity of new state-of-the-art shelters slated to open in the District of Columbia, that might be interested in partnering with Friendship Place. Friendship Place reported early positive feedback from their revamped outreach communications. 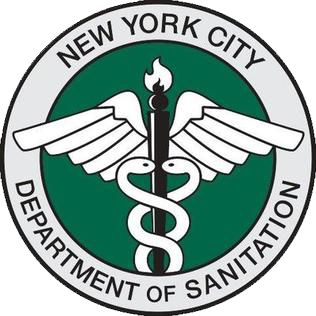 New York City Department of Sanitation is the largest sanitation department in the world. [MPS’ work] was extremely helpful and [the] team was delightful. We are moving forward with a social media campaign as a result. The NYC Department of Sanitation had undertaken efforts to improve employee morale but found they had challenges getting their messaging to resonate with employees. Before moving ahead with further efforts, DSNY was interested in market research to determine the motivators of NYC sanitation workers. This included identifying a platform and methodology for gathering input from a geographically dispersed team, without the advantage of being fully connected virtually via email or social media. MPS consultants met with a team selected by the Client to understand the factors surrounding employee morale and communications. Following this, MPS researched and recommended the best tools to gather the necessary data points, and developed a methodology to guide this data-gathering. After DSNY selected a survey platform, MPS consultants conducted a social media scan to establish a baseline of where to focus future improvements, and developed content for the survey and outreach communications to maximize responses. Once approved by DSNY, MPS uploaded the survey content into the platform and managed email distribution of the survey, while coordinating with DSNY on results they obtained through on-site surveys. Finally, MPS consolidated and analyzed the results, and developed recommendations to help DSNY act on this feedback. MPS consultants presented 10 high-priority takeaways and recommendations to DSNY based on analysis of over 1100 survey responses. As part of this presentation, MPS also provided a breakdown of quantitative data and categorized qualitative responses to help DSNY understand responses and trends according to demographics of the respondents. MPS Assists’ service to us was invaluable in making us prioritize all the projects we have on our plate and uniting our staff members into a team to work toward the same priorities. The staff was extremely pleased with the session and felt it was “priceless” to help us focus on the big picture goals and how we can work together to improve our programs. Understanding the annual objectives, and prioritizing workload and activities to annual strategic goals to ensure project completion and balanced use of staff resources. MPS conducted an environmental scan for the headquarters staff, with interviews and an online organizational diagnostic, to determine the current state of projects, workload and credibility of the planning process. We used the results to design and lead a collaborative working session to validate objectives, refine expected outcomes, estimate risk of completion and prioritize outcomes for the year. Through this process the team was able to refine their strategic goals and performance measures, eliminating objectives that were not able to be successful or that could not be provided sufficient resources. Reduced annual plan to 27 key objectives for achieving success in 2018, and identified a risk profile for each of the top quartile of objectives having the most impact. This empowered the team to allocate work on achieving those most valuable objectives. 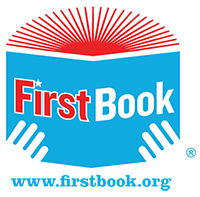 First Book’s mission is to provide access to affordable quality educational resources (books, sports equipment, winter coats, snacks, etc.) to children in need. Through its member network of more than 400,000 educators, First Book reaches an average of three million children ever year. We had a positive experience with the [MPS Consultants]. We gave them a pretty undefined and messy project, and they were really patient and persistent. The tracker we finally landed on together is already proving to be useful. Another great MPS pro bono case! In the aftermath of a series of natural disasters in the fall of 2017, including Hurricanes Harvey, Irma, and Maria, and a California wildfire, First Book stood ready to help teachers and families restock all the school supplies they lost to the disaster. A sense of urgency prevailed, as communities hoped to re-open their schools as soon as possible after the disasters to foster a sense of normalcy, hope, and inspiration. With each developing disaster, the scope of these efforts was expanding at a rapid pace, from California to Puerto Rico. First Book’s partner organizations, however, supported only specific areas instead of the overarching effort. With so many rapid changes and shifts, First Book found it very difficult to keep track of all of the simultaneous operations and the major donors. MPS consultants came in swiftly to help guide the planning and process documentation so First Book could keep track of all the different work streams, stakeholders, timelines, and other processes. All of these efforts were being managed on the fly, in response to each unpredicted disaster. MPS consultants were able to observe, absorb, and document the ongoing critical processes in order to better prepare First Book for their current efforts as well as for future efforts. MPS consultants documented several processes and contingency plans that proved very useful for the remainder of the school year. They also were able to provide recommendations to modify the processes in the future, depending on the situation. For example, action plans were created for occasions when there is an unexpected disaster or four disasters back to back, as they experienced in 2017. MPS consultants were also able to create and develop a tracker to help First Book follow tasks and items through a workflow. The tracker was broken down into different types of data. For example, First Book could track by donors, by location, by natural disaster, and by type of donation. This provided useful information, and served as an excellent tool for producing reports, letters, and media postings. The quality of reports produced by MPS went above and beyond the Evaluation Team’s expectations! If the opportunity presents itself again, the Programming Team at Education Pioneers would certainly seek out the expertise of MPS Assists! Evaluating and improving a series of Leadership Workshops that Education Pioneer fellows are required to attend, on topics, issues, and policy critical to transforming education. The MPS team reviewed Education Pioneers’ workshop content, evaluated the post-workshop questionnaire, and analyzed survey results. Using qualitative and quantitative methods, the team analyzed data collected from each workshop across the United States, and compiled insights both at the city and national levels. To better understand the fellowship experience and the unique methodology Education Pioneers uses, some members of the team attended an EP Change Management workshop in DC, and met some of the summer fellows. The final delivery was a Survey Analysis Action Plan for the workshops. It laid out a consistent and easy-to-replicate approach to workshop evaluation, clear roles and responsibilities, and manageable timelines for the staff to follow. Thank you MPS Assists for your professionalism and passion for nonprofit work. We cannot wait to implement the awesome communications strategy that you developed for us! Developing a sound brand image based on consistent and clear messaging to critical stakeholders. MPS conducted essential stakeholder mapping to identify target audiences and then crafted a communications plan and key messages tailored to each audience aligned with the organization’s validated mission. MPS helped P.E.A.R.L.S document their organizational mission, vision, and goals, while also providing them with a communications toolkit to make outreach more manageable and ensure a consistent message is portrayed. MPS bridged a gap in skills-based volunteer service by developing a replicable plan and tools for helping nonprofits understand the project management component of scoping and seeing a project through to the end. Developing a new way of recruiting that would match skilled volunteers with Points of Light’s nonprofit partners. MPS consulted with Points of Light to define and implement a pilot program, Coach2Action, which utilized a specialized recruitment method for engaging project management volunteers through the Project Management Institute (PMI). The pilot involved establishing a project management maturity framework, and coordinating the training and engagement of the project coaches. 30 nonprofits were paired with 60 trained project coaches from the PMI community. MPS worked with project coaches throughout the process to provide guidance and collect lessons learned which will be used to improve future iterations of the Coach2Action program. The wonderful balance between content and process in your workshop design was engaging and effective. MPS’ knowledge and competency pushed our understanding of ourselves and our group. Providing tools to Public Allies DC Ally apprentices to increase their self-awareness and understanding of group dynamics. MPS developed and delivered a half-day Myers Briggs Type Indicator (MBTI) leadership training and workshop to 30 Public Allies apprentices and emerging leaders. Participants raised their level of understanding about differences in personal preferences and left with a commitment to adapt and work better with individuals whose communication styles are different than their own. 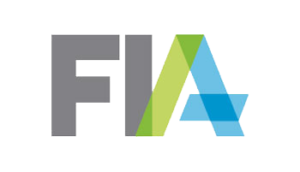 FIA was representing a rapidly-changing demographic of members and needed to baseline their membership’s interest areas and perception of the value they provided. They also needed guidance on specific activities and strategies which would better communicate their value to their members. MPS designed an in-depth survey, which was sent to FIA’s entire membership, and analyzed the results. We provided data points and feedback from members to FIA Leadership to support recommendations needed for their ongoing member strategies. 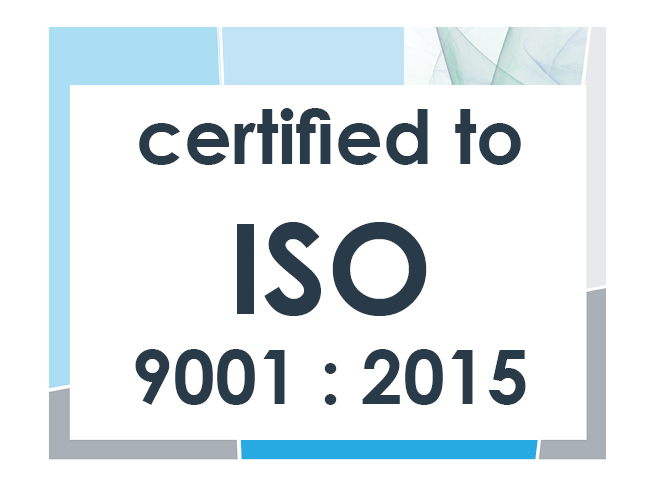 800 surveys were completed, resulting in over 70,000 data points. MPS prepared a master report, with recommendations, and individual briefing slides and high-level recommendations for seven member areas, with five member demographic segments. The results were used to make decisions for future communication strategies and member-focused services. The MPS Team conducted interviews with PfP leaders to identify objectives and outcomes which were used to build a meeting agenda for an annual staff retreat. MPS consultants facilitated the two-day retreat which included professional development training to improve staff ability to collaborate with others, manage and facilitate effective meetings, communicate essential information, and apply project management principles to work activities. Design and facilitation of a tailored and effective retreat for PfP staff which provided them with essential information they hadn’t received before, and a clear sense of ways to apply the skills learned throughout the two days. M Powered Strategies provided TBB with significantly more feedback and insight into our work than we could have expected! Their recommendations continue to guide our strategic planning. Identifying the best approach for successfully pairing skilled refugees with international corporations experiencing a skills gap. MPS researched nearly 100 organizations within the private, government, and nonprofit sectors, and conducted 30 interviews to gather key insights on the market. Creation of a clear vision and an actionable plan to achieve the program’s first successful pilot. Each interaction was thorough, well-planned and professional. 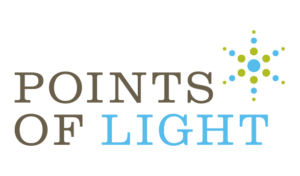 MPS helped Points of Light’s Military Initiative’s team build a strategy during a critical and transitory time. The end result was a well-thought-out and cohesive plan that involves sound strategy, realistic goals, and next steps. Realignment of the work in the Veteran and Military space to correspond with trends in the volunteerism and Veteran-engagement markets. MPS planned and led workshops to define MI’s values, mission, vision, customer value proposition, strategic goals, objectives, and programmatic initiatives. Creation of a comprehensive strategic plan addressing the organization’s approach to stabilizing and scaling the division’s work while meeting financial, customer, organizational, and business needs. Working with M Powered was a fabulous experience! They helped us quickly define a scope of work – developing a Strategic Plan for our MUS portfolio. The process went so smoothly and efficiently… the final Strategic Plan, along with all supporting materials, is top-notch. Prioritizing and aligning activities to strategic goals to ensure big-picture results focused on long-term program growth and expansion. MPS conducted an environmental scan for the MUS division and used the analysis results to lead collaborative working sessions with the team to refine their mission, vision, strategic goals, and performance measures. Creation of a three-year strategic plan with prioritized short-term projects mapped out over the 12 quarters, including recommendations for maximizing internal and external resource assignment.